Kitsune, or the fox, used to be a familiar animal for the Japanese, as for many other peoples around the world, holding a privileged place in folklore. 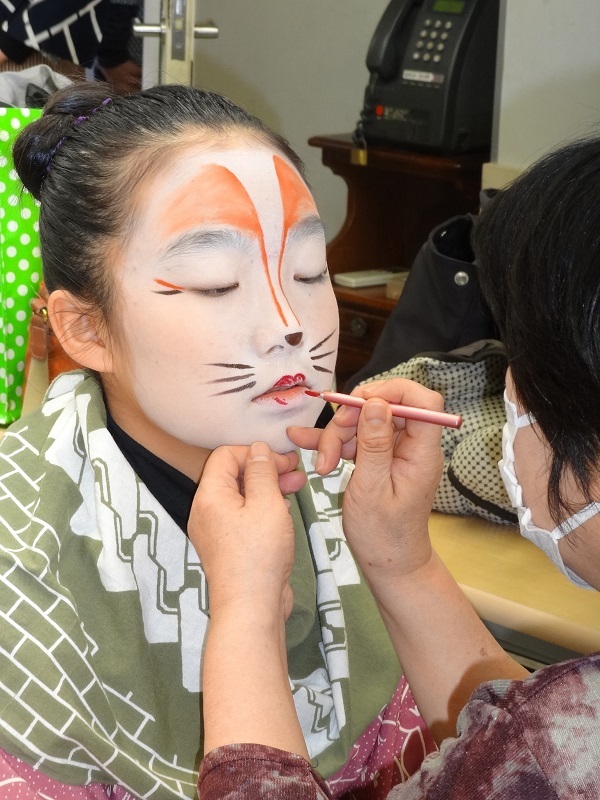 In Japan, kitsune is popularly known for its propensity to “fox” people, often in the guise of a human girl as depicted in Japanese folktales. 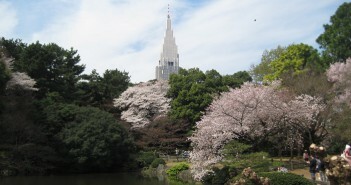 But the fox is also a sacred being, venerated as the messenger of the deity Inari. 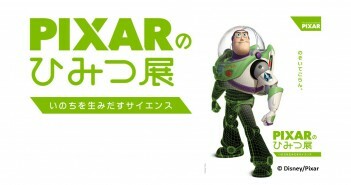 One legend of the fox as a mystical being pertains to the town of Oji in northern Tokyo. The story was even rendered in one of ukiyo-e prints by Hiroshige. 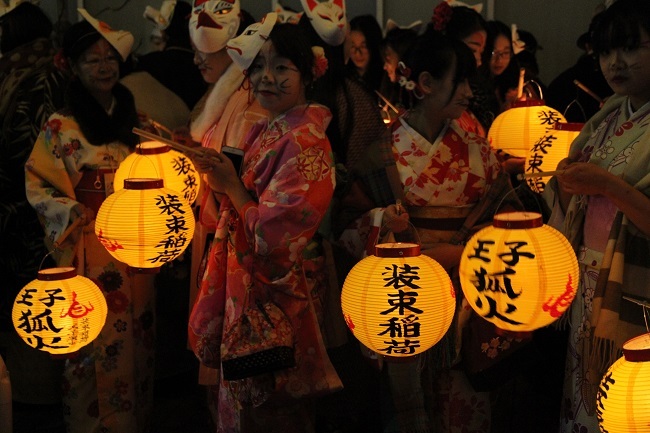 On New Year’s Eve, a number of foxes gathered at Oji, coming from all over the Kanto region. 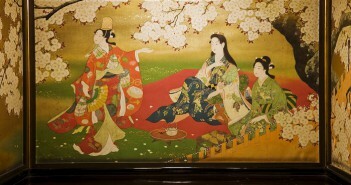 Under a big tree, each of them wore their formal kimono. 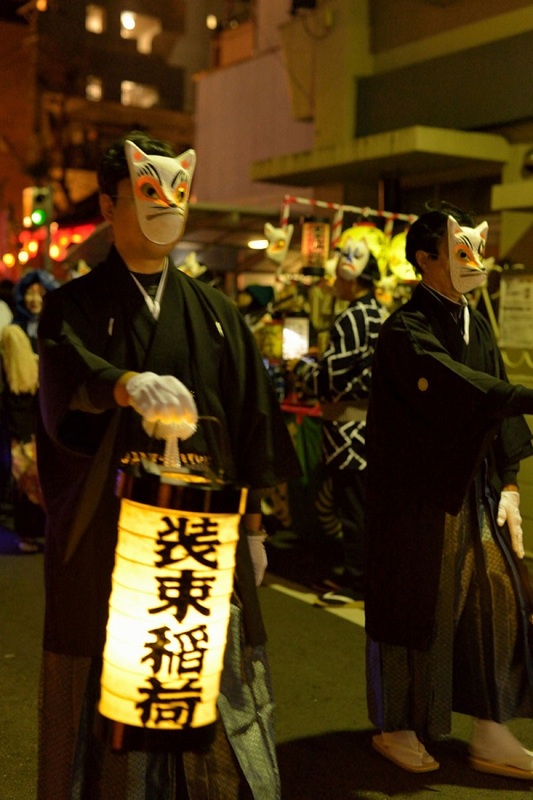 From thence they solemnly marched in procession to the Oji Inari Shrine to pay New Year’s homage, to the deity Inari. 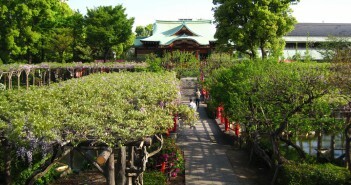 Legend also holds that the shrine built adjacent to the legendary tree is the present Shozoku Inari Shrine – “shõzoku” meaning a ceremonial robe (or robes) and referring to the foxes’ wearing of kimono under the tree. Utagawa Hiroshige (1797–1858) depicted the scene in one of his ukiyo-e print in the series “One Hundred Views of Edo”, entitled ‘New Year’s Eve Foxfires at the Changing Tree in Oji’. 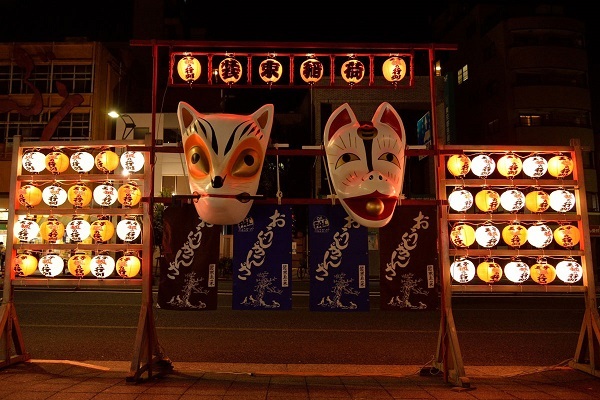 “Kitsune no gyoretsu” or the fox procession in the town of Oji was started twenty-six years ago by the locals who wished to pass down the legend and traditions to the future generations. 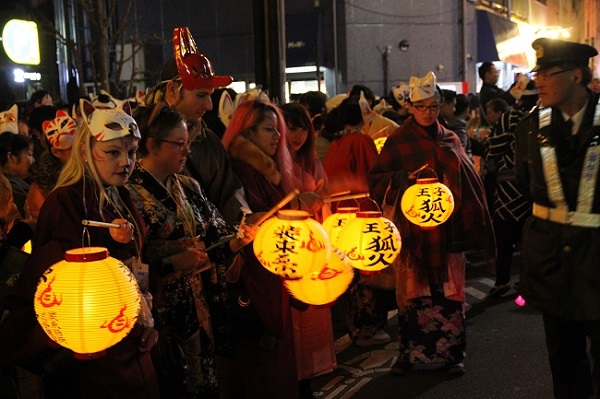 Every year, around midnight on New Year’s Eve, the town of Oji looks enchanted as if by magic. 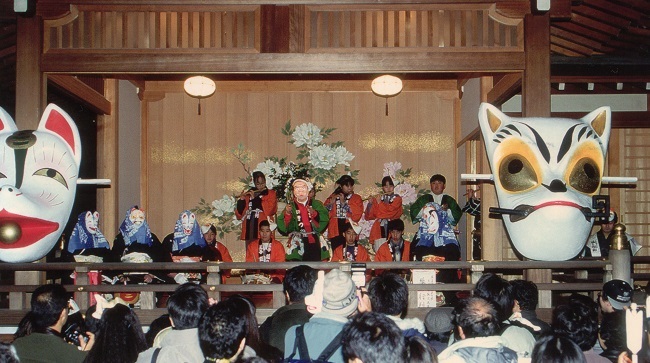 This year also, people in kimono wearing fox makeups and masks will gather at the Shozoku Inari Shrine. 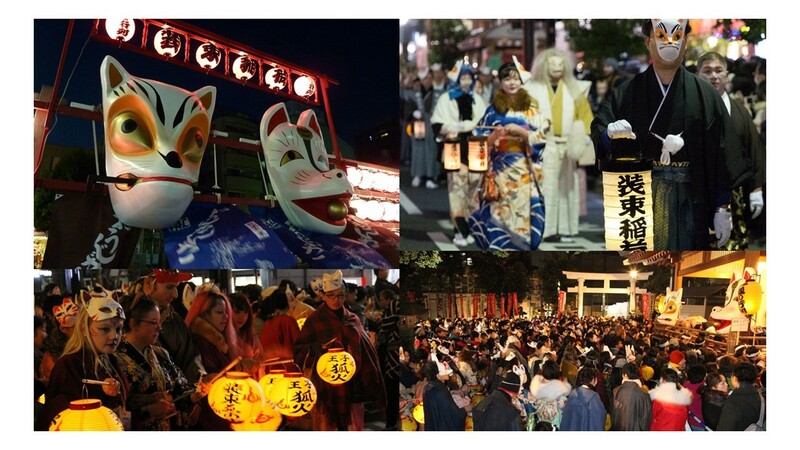 From there, they will walk in procession, with lanterns in hand, to the Oji Inari Shrine to pay homage of New Year. 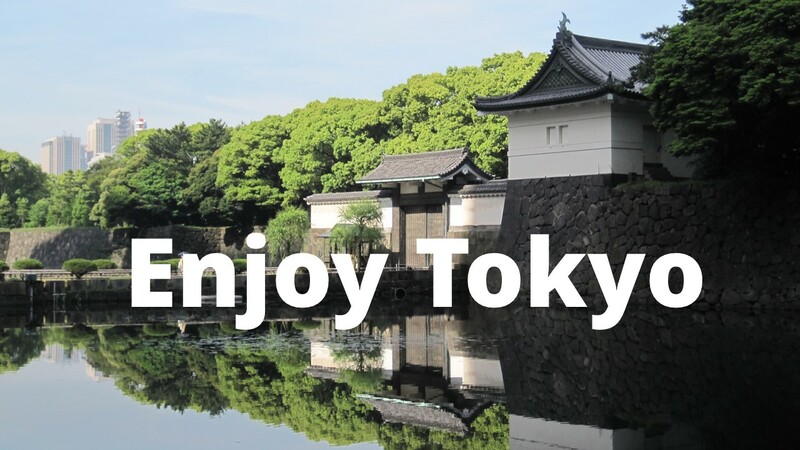 Watching the procession and visiting these shrines will allow you to feel the Japanese traditional atmosphere to celebrate the passing of the year. If you so wish, it is also possible to participate in the procession as a legendry fox. 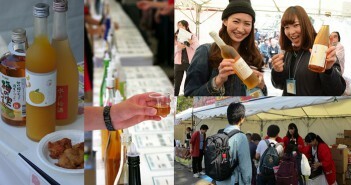 Prior reservation is required, and a proper dress code must be adhered to, but it could be a truly memorable New Year’s Day in Japan.